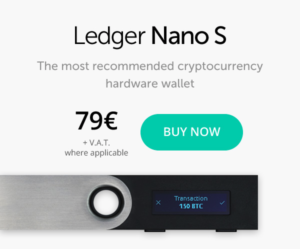 The Nano S is a hardware wallet (wallet of physical cryptocurrency) marketed by the French company Ledger. The chip manufactured by Ledger makes it possible to secure your private keys offline, directly on your device, and to carry out transactions in your favorite cryptocurrency via dedicated applications, available on most operating systems. The Nano S looks like a USB key. Start by visiting the Ledger website to download the latest version of the Ledger Manager. This is the master application of your device, which will allow you to manage all the applications available on the Ledger App Store and to keep the firmware (the device operating system) up to date. After downloading and installing the Ledger Manager, launch the application and connect your Nano S.
You will need to press the two buttons on the edge of the device simultaneously to initialize it. You will be asked to choose a PIN code. The Nano S allows you to use a code up to 8 digits. Use the side buttons to change the value of each digit and press them simultaneously to confirm. It will obviously be necessary to enter this code a second time. The device will then generate a recovery phrase consisting of 24 words. 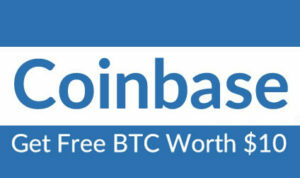 This passphrase will allow you to recover your cryptocurrency in case of loss or theft of the device and must be noted and carefully preserved away from prying eyes. A small card is provided for this purpose. You will need everything for the PIN code to confirm your recovery phrase. Your Ledger Nano S is now functional. You can update the device firmware now. Then download and install the Ledger Wallet Bitcoin & Altcoins application that will allow you to manage your different accounts and make transactions. For Ethereum, you will need one more application, Ledger Wallet Ethereum. Before you start either, you will need to close the Ledger Manager. 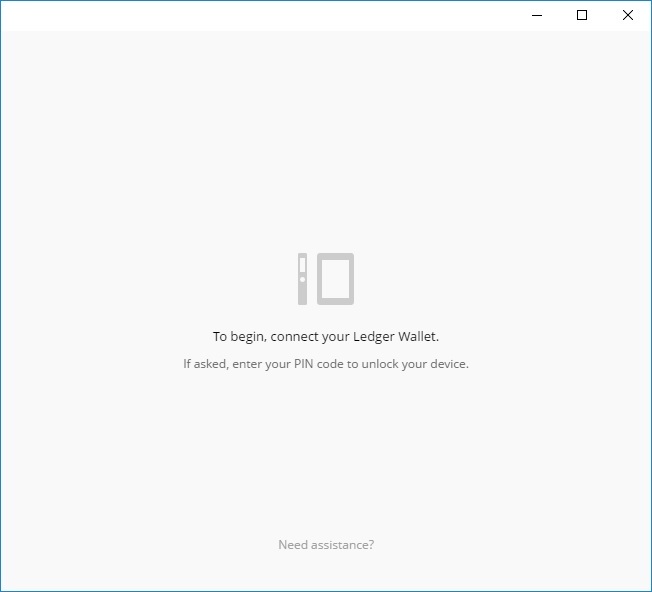 When launching the Ledger Wallet, you will need to reconnect your device and select the currency you want to use with the side buttons. Once the application is launched on the Nano S, the corresponding window will appear on your computer / smartphone. When you open the wallet, your account is empty. The first tab offers a summary of your account including its balance and the history of your transactions. The next two allow you to send and receive Bitcoins (or the cryptocurrency you have selected), the last allows you to configure some settings (not available on the Ledger Wallet Ethereum). Display – Unit of account, counter-value (currency of reference), language. Currency – Number of confirmations required to spend, default fee, blockchain explorer. The Ledger Wallet Ethereum application allows you to manage the ethers you want to use via your Nano S. It allows you to use the two resulting chains of the Ethereum network's hard fork (ETC and ETH) and switch from one to another. to each other in two mouse clicks. Initially, your wallet is obviously empty. Use the “Receive” tab to display the address associated with your account and the corresponding QR code. Once the transaction is confirmed and entered on the blockchain, the balance of your account will be credited. 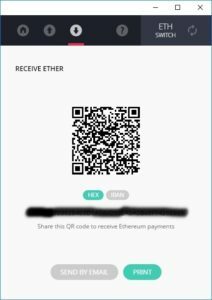 To send Ethers, nothing more simple, go to the “Send” tab, select the desired amount, enter the receiving address in the “Recipient Account” input field and click on “Send”. Transaction fees will be calculated automatically. 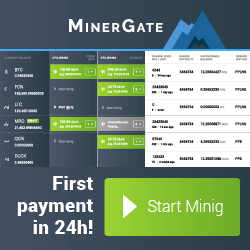 Next PostNext How to mine monero (XMR)?